A fire at a low-cost dormitory-style housing facility in central Seoul killed at least seven people and injured 11 others on Friday, fire authorities said. 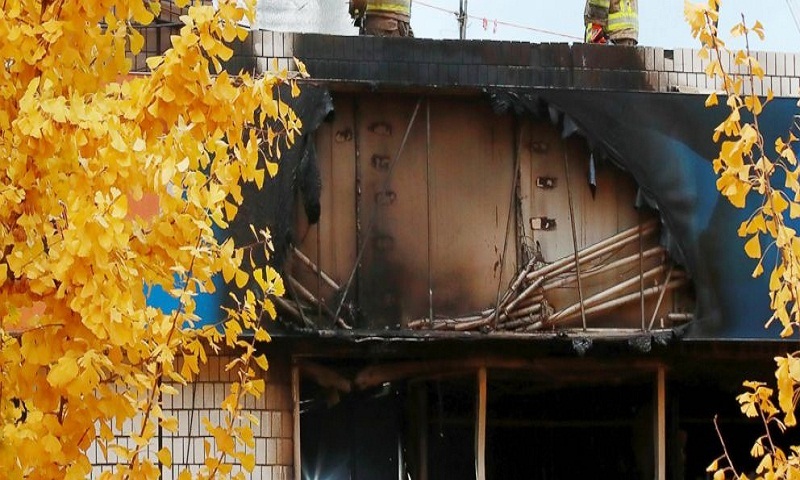 The blaze has been extinguished but it remains to be seen whether the death toll could rise, officials at the Seoul Metropolitan Fire & Disaster Headquarters said. The cause of the fire is under investigation, the officials said, speaking on condition of anonymity, citing department rules. The facility, called “goshiwon” in Korean, is where poor manual laborers or student preparing for bar exams or civil service exams stay in individual rooms with tiny sleep and study spaces. Budget travelers also often stay in such facilities. South Korean media reported most of the victims from Friday’s blaze are manual laborers in their 40 to 60s. The fire agency couldn’t immediately confirm the reports. It wasn’t known whether any young students or travelers had been staying there. The accommodation facility was located at the second and third floors of a three-story building. Its first floor has restaurants. The fire agency said all the victims came from the second and third floors.